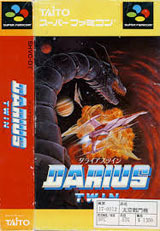 Darius Twin for Super Nintendo allows you to fly the Silver Hawk warship and battle the evil dictator Belser. Collect plenty of power-ups and battle sea creatures. 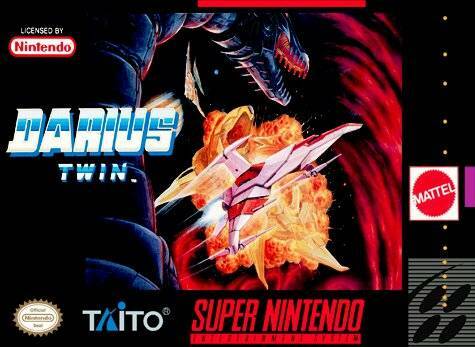 Play solo or with a friend in the two-player cooperative mode. Help the rebel forces of the Galactic Federation who have had enough of Belser from terrorizing the galaxy.